A. Martini & Co. renovated a 120,000sf, ten-story building into the new home for the Art Institute of Pittsburgh. 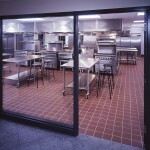 We returned to the building a year later to complete a second project – renovating a 15,000 square foot area on the 9th floor into a teaching facility for the Institute’s culinary school. 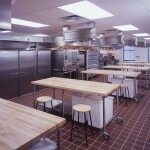 This project included three fully functioning commercial kitchens: a 1,596sf “a la carte” kitchen, a 1,150sf skills kitchen, and a 1,250sf bakery and pastry kitchen. This project also included storage rooms, locker rooms, restrooms, faculty work areas, and offices. The construction, which was completed in four months, was finished without the use of any additional staging areas and without disruption to any other areas in the building.